Take care not to spend so much that you can’t change course while you take time to plan for the future. Take advantage of these opportunities to borrow political science materials or to get some free social studies supplies outright. This page has links to physical materials you may send away for. Free material that is available online is under the relevant page elsewhere on A to Z Home’s Cool. Use the site index or search engine above to find free internet resources. A tested lesson plan resource and supplement for Kindergarten-12th grade teachers of social studies, U. S. history, U. S. government, political science, economics, geography, speech, and/or related subjects. Download segments now, or order all on a free CD or printed binder. AHEF is now offering its new, free resource for middle & high school teachers and homeschoolers titled America’s Heritage: An Experiment in Self-Government. Experiment is a supplemental teacher unit resource developed to support and strengthen 6th-12th grade social studies, history, government, and civic education on the founding documents and principles of the United States of America. By sharing the big picture and challenging middle and high school students to look at the world from many different perspectives, we hope to inspire a greater love of learning and help them better understand how we got here, where we’re going, and how they fit in. The CD-ROM game presents a macro view of the entire home building process from site selection to final sale. Good news! We found one last box of Building Homes of Our Own CD-Rom games. Although our grant for providing free single copies to educators has expired, we can liquidate these last copies for a shipping and handling fee of $12.60. College-level free courses to take online. No cost. No credit. Usually a “Statement of Accomplishment,” signed by the instructor, can be earned. Get free Political Science courses from the world’s leading universities. You can download these audio & video courses straight to your computer or mp3 player. Monthly mailing features a new film, photo essay, or article and accompanying lesson plan. In a book that tackles the biggest challenges facing us today, Chelsea Clinton combines facts, supplemental material, and stories to give listeners a deep understanding of the world around them – and how anyone can make a difference. With stories about children and teens who have made real changes big and small – in their families, their communities, in our country, and across the world – this book will inspire listeners of all ages to do their part to make our world a better place. 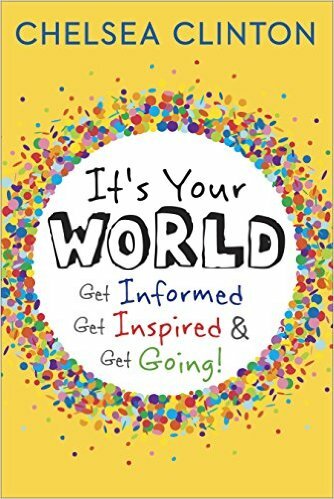 In addition to informing and inspiring listeners about topics including poverty, homelessness, food insecurity, access to education, gender equality, epidemics, noncommunicable diseases, climate change, and endangered species, this book encourages everyone to get going! With suggestions and ideas for action, Chelsea Clinton shows listeners that the world belongs to every single one of us, and every one of us counts. Loaned kits are age- and subject- specific, and explore themes through the use of full-color facsimile maps from the Osher Map Library Collections, as well as overhead transparencies, handouts, audio-tapes, slides, and a slide script. Information on the history, role and work of the Canadian parliamentary system. Some materials are bilingual. The first comprehensive guide to world history teaching on the Internet, and teachers continue to find it an essential resource. A free civics curriculum. Looking for an engaging, classroom-proven civics and government curriculum? Try the We the People: The Citizen & the Constitution enhanced ebook for free for 28 days, $9.95/year after that. We the People’s features include classroom management tools, audio narration, videos, built-in multiple-choice and essay questions. Classroom version is $19.95/year. The ebook can be used on a wide range of devices, including desktops and laptops, Apple iPads and iPhones, Android tablets and smart phones, and Windows 8 touch-screen devices.